The following are the top stories in Sunday’s newspapers. 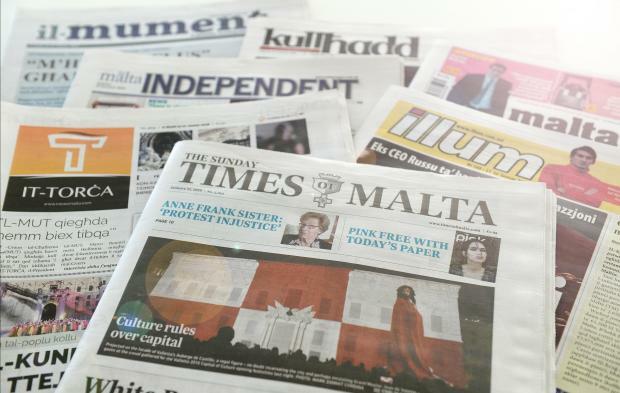 The Sunday Times of Malta says a year after the FIAU flagged a reasonable suspicion of money laundering by Opposition leader Adrian Delia, the police investigation has hit a brick wall. In another story, it says Finance Minister Edward Scicluna is under pressure to sign a permit that would allow a member of Dubai’s ruling family to buy the project to build hundreds of apartments on the site of the former Mistra Village tourist complex in Xemxija. The newspaper also says that Malta’s anti-money laundering regime received a poor grade in a draft Moneyval evaluation, with the government now scrambling to push up its final score before the summer deadline. The Malta Independent on Sunday says only two people were charged with drink driving on St Patrick’s day. Malta Today says Prime Minister Joseph Muscat has a 2020 exit date. Illum says that two thefts are carried out in homes daily. It-Torċa says Air Malta makes a profit of €1.2 million after 18 years. Kullħadd also leads with a story on Air Malta’s profit. Il-Mument says the leader of the Opposition has requested an investigation into persons who falsified his signature.